Plenty of people connect over their interests. This can form the foundation of a great friendship, or maybe something even deeper. Even in the digital age, events still represent a great place to meet and connect with people who have similar interests. But as it often happens, ticket holders don’t always have people to go to the event with, and ticket seekers don’t always know where to find available tickets. This is the problem WillCalled is hoping to solve with their new app. So, hopefully next time you’re headed to a concert, you can find some people you can connect with instead of just flying solo. Here’s Lex Lipsitz and Ken Madson to talk more about WillCalled. 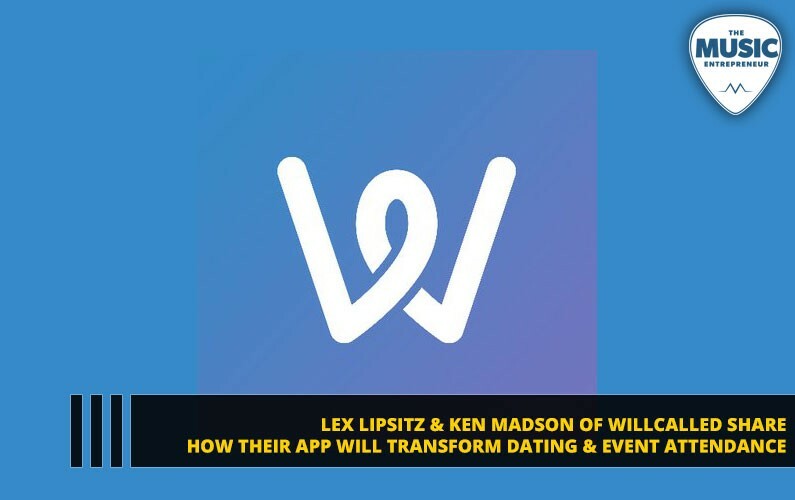 Hi, we are Lex and Ken, creators of the WillCalled app. Prior to this venture our professional experience was based in the entertainment industry. We’ve worked with musicians over the years such as Brantley Gilbert, Nappy Roots, Dierks Bentley, Kid Ink, Faith Evans and Rehab as well as institutional entertainment giants like Sony, Warner, Big Machine, Viacom, and many others. We saw an opportunity in tech to help bring people together through ticketed events. We’ve had an amazing time envisioning the idea and bringing it to market. 2. What is WillCalled, and how will people benefit from it? Have you ever wanted to attend an event, but couldn’t find someone to go with? WillCalled pairs ticket holders with ticket seekers! Music, Sports, Movies, Theater, and all other ticketed events are included. WillCalled will pair you with people who are interested in the same event. No more wondering what to do or having to worry about where you’re going to meet. Use WillCalled to find new friends, discover new events, win tickets, or make that special connection. 3. Some stats and studies show a declining interest in dating, intimacy and marriage. Could technology be the solution? Technology has hurt and helped the “new way” of meeting folks for the first time. Most dating apps have actually made the process more cumbersome and frustrating. That’s why we came up with WillCalled. Over 60% of users who match on the top dating apps never start a conversation due to a lack of a proper starting point. That’s why WillCalled connects users around a common interest/event. Instant icebreaker. Plus, this holds people accountable to committing to a time and place. We feel like WillCalled is the perfect solution to solving that issue. 4. How did you start your new brand and how do you feel it will grow? We launched our app in Nashville. The great news is we have active users already loving WillCalled! It’s free to download, navigate and use, and we have a variety of well-curated events. People are finding the app organically and we’ve got a great community of users. Nashville is an event-oriented town and with that comes a “Plus 1” mentality; people are planning their social lives around events. We see WillCalled growing organically because it gives users a fun, new way to discover events and find someone to go with. Takes a lot of the dating guessing game fatigue out of it. There are intimate, small venues as well as bigger venues that seat tens of thousands. Whatever you’re looking for, you can usually find it. The hard part is often narrowing down options, and WillCalled can help to make that decision less painful… and lonely! No, you’re great at this! Ultimately WillCalled is very simple for users to navigate. We will continue to innovate as we develop and look forward to rolling out new features, expanding into new markets, and providing users a great experience. Well, it certainly sounds like WillCalled has the potential to make going to events a lot more fun! Originally published at www.musicentrepreneurhq.com on January 8, 2019.